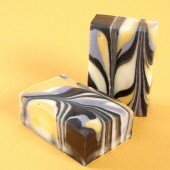 I have enjoyed seeing Josie’s beautiful soap on the Bramble Berry Facebook page for some time. Right away, Josie showed immense talent and an eye for design. 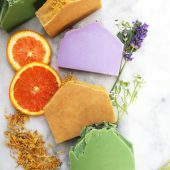 Josie began selling her soap on Ebay, and several weeks ago opened a brick and mortar store, Josie’s Beauty Boutique, in Grants Pass, Oregon. 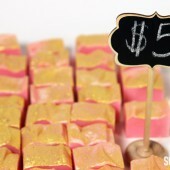 Josie creates both melt and pour and cold process soap, as well as body butters and lotions. 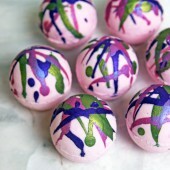 Josie specializes in colorful, feminine designs including her gorgeous soap cupcakes. 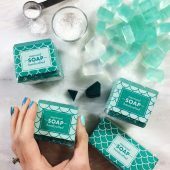 Read more about Josie’s soapy journey, including her tips for opening a store in the interview below! 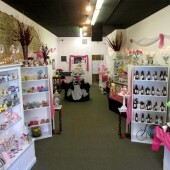 -A.M.
Josie in her store, Josie’s Beauty Boutique, located in Grants Pass, Oregon. 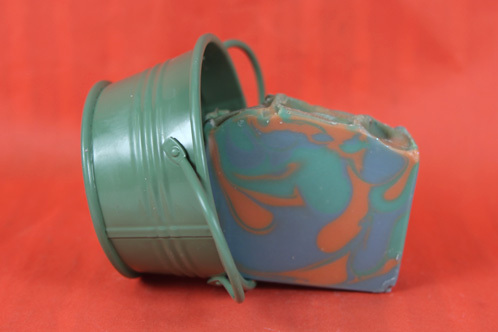 Soap making is not only fun, it can have a dramatic impact on lives. 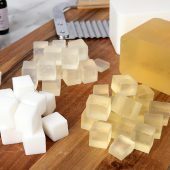 After falling on tough times, Casey started teaching her son Donovan how to make melt and pour soap. 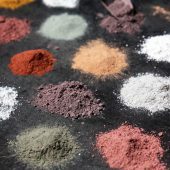 Donovan fell in love with the craft, and quickly began selling his creations at a local farmers market in Albuquerque, New Mexico, and on Etsy. 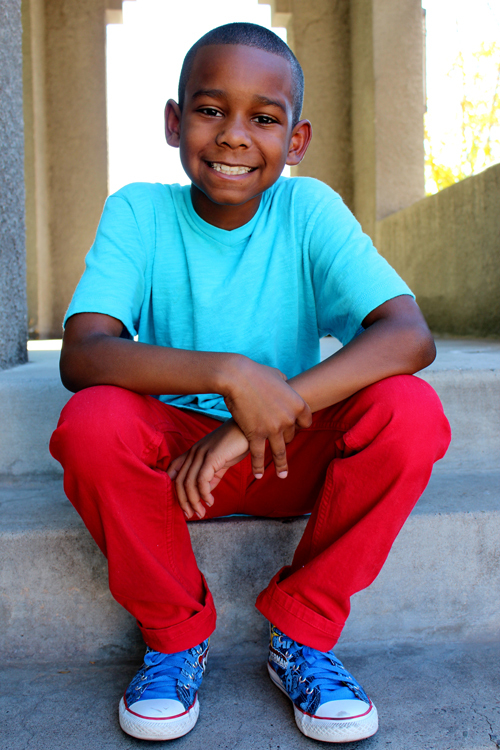 Donovan is currently looking into selling his soap at local stores, and was chosen as a featured artist in the upcoming issue of Albuquerque Magazine. 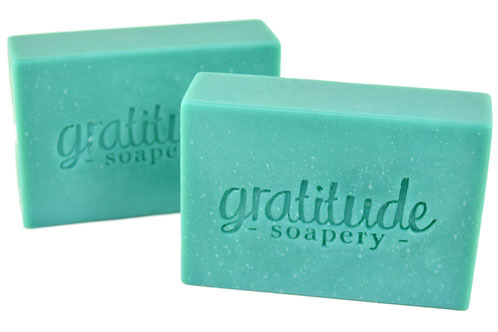 Donovan donates half of the profits from his soap to the program that helped him and his mother get back on their feet, the Supportive Housing Coalition of New Mexico. 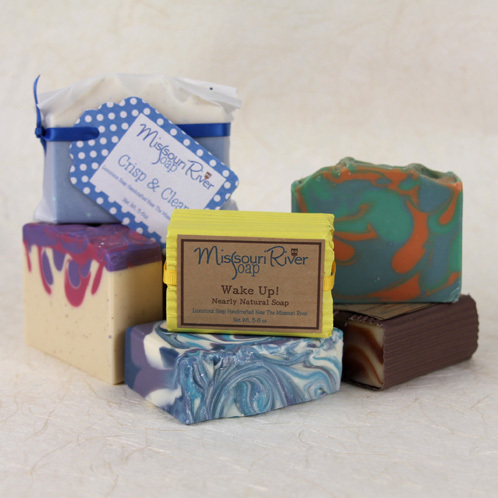 Donovan’s fun melt and pour creations include Mac and Cheese Soap, Ice Cream Soap, and Millennium Ship Soap. Read on to learn more about Donovan and Casey’s inspiring story! Amazed by the saponification process during a soap making class, Katie White of Royalty Soaps started her business at only 17 years old. 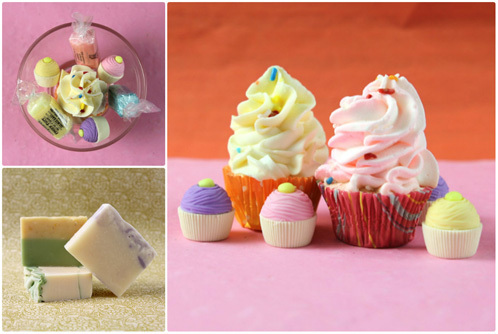 Her gorgeous soapy creations are full of color, texture and personality. 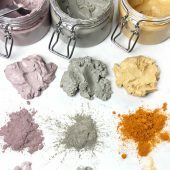 Active on YouTube with over 50 videos of cold process tutorials and product reviews, Katie’s soaps and fun personality are truly inspiring. Read on to learn more about what motivates Katie, and how she got started soaping. Several months ago, I received a magazine along with a kind note from Kristen Koscielniak of The Silk Soap Company. Kristen and her soapy business had landed the cover of Delray Beach Magazine, and Kristen reached out to share her exciting news. 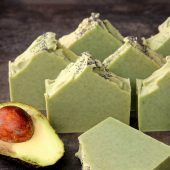 After a wide range of store-bought products left her skin feeling dry and irritated, Kristen began making her own melt and pour soap with added silk and hasn’t stopped! Read on to learn more about Kristen, her experience with branding and what inspires her to create. -A.M.
Getting your products in the hands of customers — no less celebrities — is no easy feat. Carleigh Pearce of Ellison’s Organics did both. 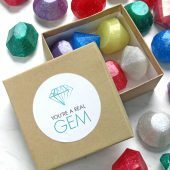 She started her soap and cosmetic business in 2012, and by April 2014 she had her handmade nail polishes in gift bags at GBK’s Luxury Gift Lounge in honor of the 2014 MTV Movie Awards Nominees & Presenters. Carleigh mixes each unique polish color by hand using Bramble Berry’s micas and pigments. 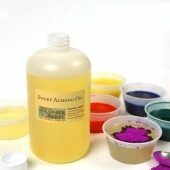 She also specializes in organic-oils melt and pour soap, and her Lego building blocks and figurines are a hit with kids. 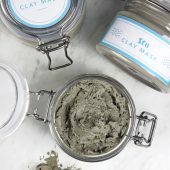 Read on to learn more about how Carleigh built her ever-growing nail polish & soap business from scratch! A quick note: ‘Organic’ is a heavily regulated term by the USDA, while ‘natural’ is not. Do your homework before purchasing products that are labeled as ‘organic,’ and keep in mind that ‘natural’ could mean a range of things. Check out this blog post for more information. 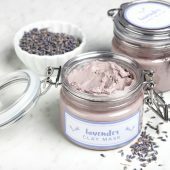 Bramble Berry carries a certified-oils Organic Melt & Pour Base as well as Organic Lavender and Rosemary Essential Oils. There are too few male soap artists, but maybe the work of today’s soapy spotlight interview will change that. 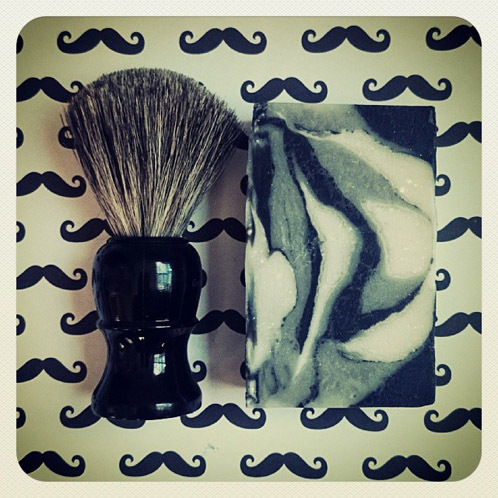 James Troia began soaping in 2013 after purchasing a $9 bar of soap that quickly fell apart. Determined to make something better, he started London Suds and hasn’t stopped soaping since. 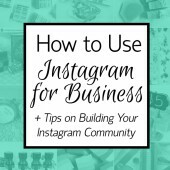 Read on to learn more about James, his soapy business, and how he has embraced social media to his advantage. For many soapers, opening a retail store is a dream come true. Sites such as Etsy & eBay make it easy to complete sales online. However, there’s nothing quite like a brick & mortar store to display your creations and interact face-to-face with customers. With a year and a half of soaping under their belts, Erin and Kirsten opened Kensico Soap Bar in 2012. Read on to learn her top advice for soapers. 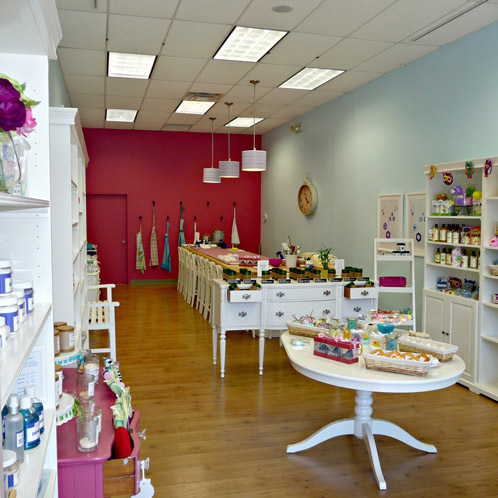 We started creating bath and body products over a year and a half ago, and opened our retail store in September 2012. During our decade long friendship, we talked about creating a business that would be fun for our children and be a part of our neighborhood. After exploring several business ideas, a lightbulb went off in workshops held in NYC by Marla Bosworth. We were excited about creating a unique shopping experience as well as place for crafting, and wanted a place that was comfortable for all ages. Welcome to Wednesday, everyone! 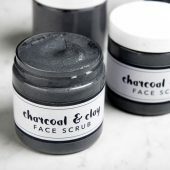 We’re giving you the momentum to finish out the week strong with an interview with Rachel of The Daily Scrub. Rachel’s positivity and excitement about soaping (and life in general) is infectious, and her creations match that enthusiasm. 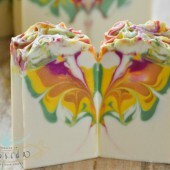 Her handcrafted soaps tend to feature her signature colorful soapy curls. Rachel has been a member of our soapy community for sometime, and last May she even won our Facebook Photo of the Week contest. Read on to learn more about this inspirational soaper — and her cute Boston Terrier pup Charlie! 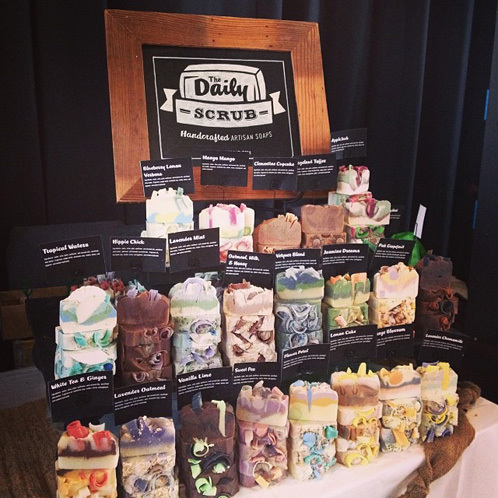 Talking with Tanya of Baby Duck Soap Co. 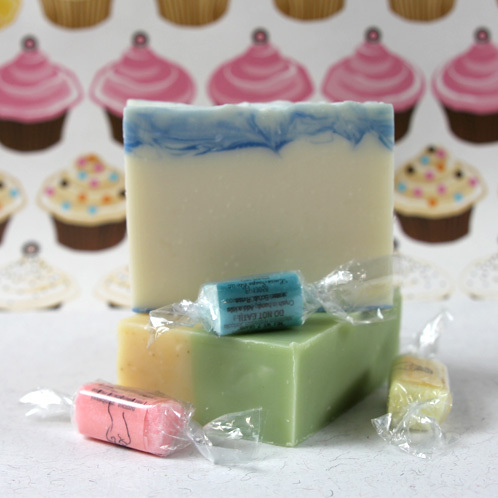 Ever since Tanya Rasley included some adorable samples of her lip balm in her April Soap Swap package, we’ve been hooked on her beautiful soaps and high-quality products. 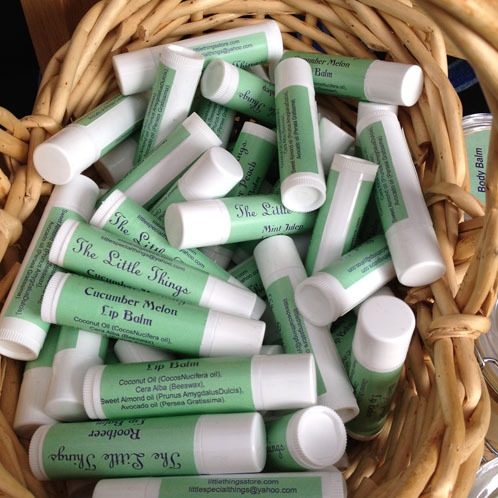 Tanya owns and operates Baby Duck Soap Co., and she offers a wide variety of cold process soaps, body butters, lip balms and sugar scrubs. Since then, I found her on Instagram and love to see her happy soap and family photos frequently. 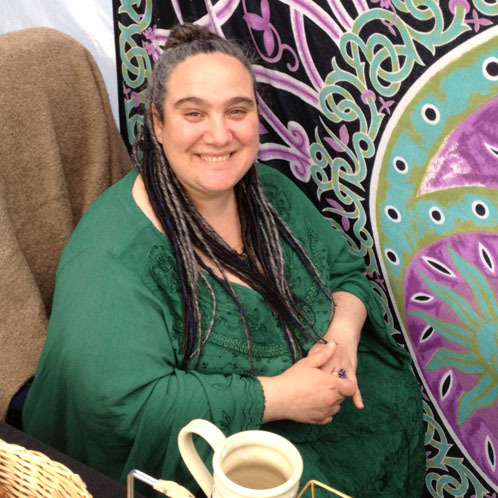 Read on to learn more about one inspirational small businesswoman. 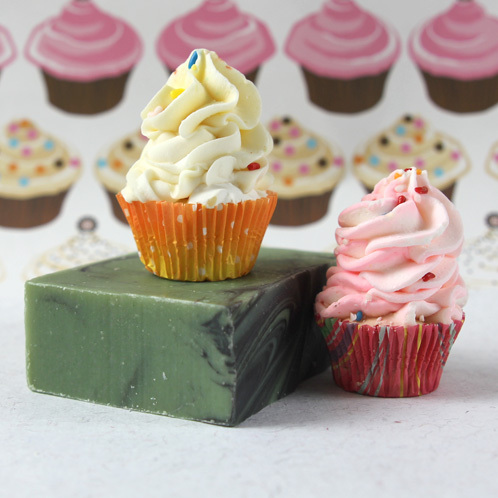 I just can’t seem to get enough of soapy cupcakes lately! 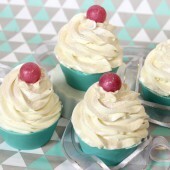 Earlier this week we featured a soaper who specializes in dessert-themed treats (including plenty of cupcakes!) and I’ve made many batches of cupcakes myself (check out these cuties we made earlier this summer for the Soap Crafting release party.) 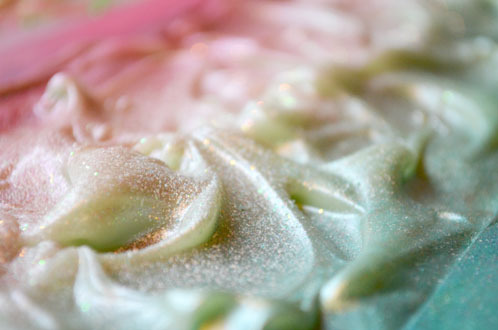 Soapy cupcakes have always been one of my favorite things to make, and I’m always excited to see my fellow soapers’ take on them. 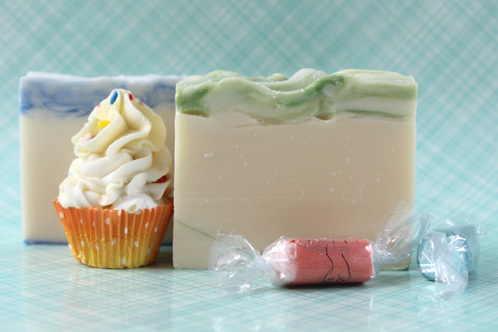 Lucia Felty, owner of Lucia Soaps Etc, LLC., shares my enthusiasm for soapy cupcakes and other soaps with a foodie flair, and I couldn’t wait to chat with her about how creates her sweet treats. Soap Queen: How long have you been soaping? Why did you start? I began soaping about 10 years ago when I was almost 50. 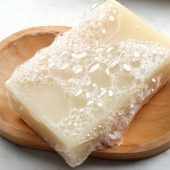 My friend Becky, who had been reading a book on soapmaking, asked me to join her making soap because the lye made her nervous. I still remember us watching with awe as the soap reached trace. In no time I was hopelessly addicted — searching the internet and reading everything I could find. Ten years later, I’m still doing that! 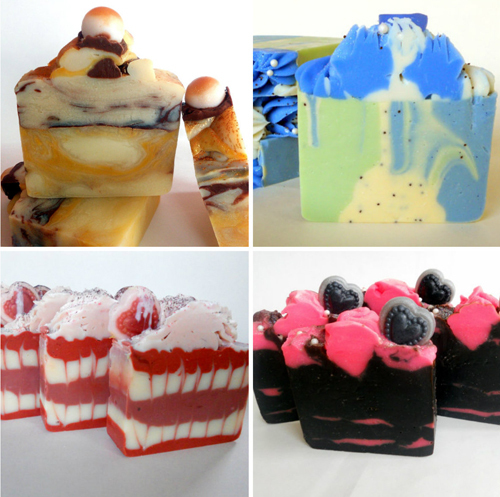 Soap Queen: What prompted you to start your business? 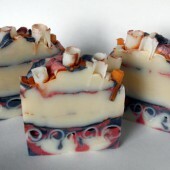 I couldn’t (and still can’t) get enough of making soap! 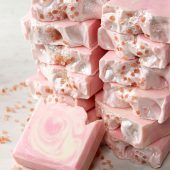 I loved using my soap, and I gave my friends and family soaps as Christmas gifts. Still I made more soap so I started doing some craft shows. I got a business license, registered my business as an LLC and got my logo trademarked. 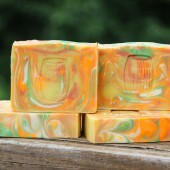 I continued to learn all I could about making soap and other skin care products. From very early on it was my dream to have a shop and be able to make product there. Anne-Marie’s newsletter about writing out your plan for “Ten Years From Now” prompted me to take action. I rented a very small space for my shop just 2 years ago. Then, six months ago, I was able to add a large room for production and classes. 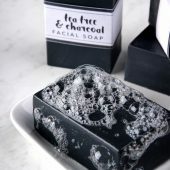 Soap Queen: What kind of lessons have you learned from owning your own “brick and mortar” store versus an online store? I have had to work on my sales skills because I am definitely an introvert and not particularly outgoing. My husband “doesn’t meet a stranger” and has worked in sales so he has been coaching me. He is my #1 supporter and helps me tremendously. In a “brick and mortar” store, I think it is important to offer “local” products. 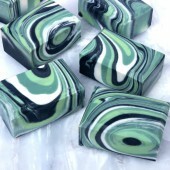 I offer Kentucky Rain, Mint Julep and Kentucky Bourbon Ball soaps. I’m thinking of adding Bluegrass Sunrise. People who are visiting and want a Kentucky souvenir are attracted by these as well as people who want to send a Kentucky memento to someone who has moved away. 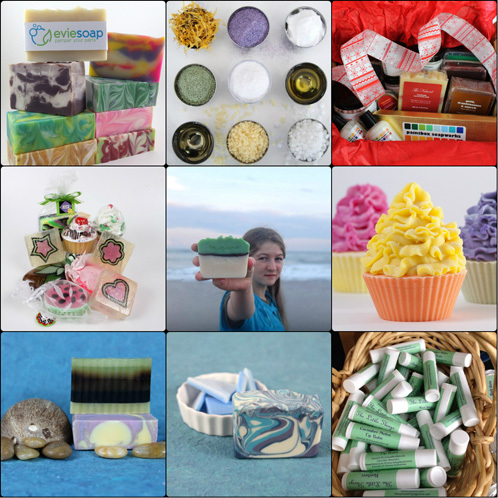 Soap Queen: What business advice can you give soapers who are just starting? Learn all you can and strive to do things right. 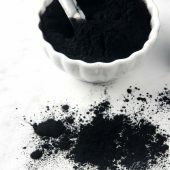 Learn all you can about the products you make. Learn the laws and comply with them. Learn to keep good records, production records and financial records. Do right by your customers. Conduct business with honesty and integrity. 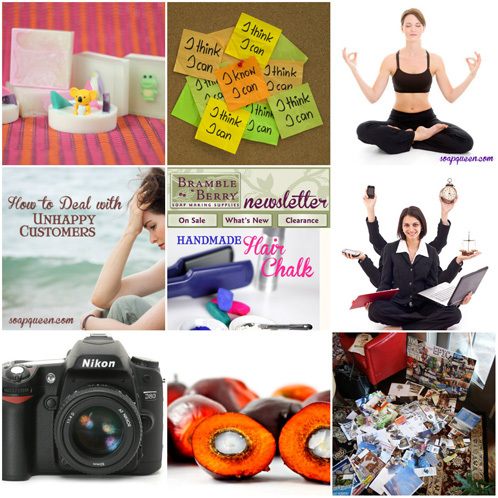 Soap Queen: What are your dreams and goals for your business? I love my nursing job but I want to retire from it sometime. When my husband retires, we will work in the shop together. My plan (he doesn’t know this yet) is to delegate some of the drudgery (record keeping) chores to him. Then I can make more soap! 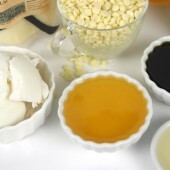 Cold process soap! 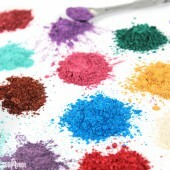 The scents, color combinations, artistic possibilities are endless. 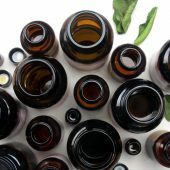 I love Bramble Berry’s fragrance oils, especially Lemon Verbena! 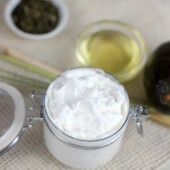 I use it in bar soap, liquid soap and lotion. 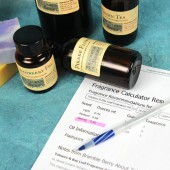 I use a blend of Bramble Berry fragrance oils to create my Kentucky Rain scent. Plumeria is another favorite. I’ll try more when I clear some room on my fragrance oil shelves! 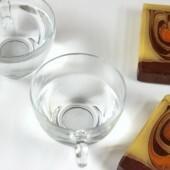 You can find more about Lucia Soaps at their website or on their Facebook page. We’re always excited about meeting fellow soapers, and after one of our social media team (Hi, Becky!) 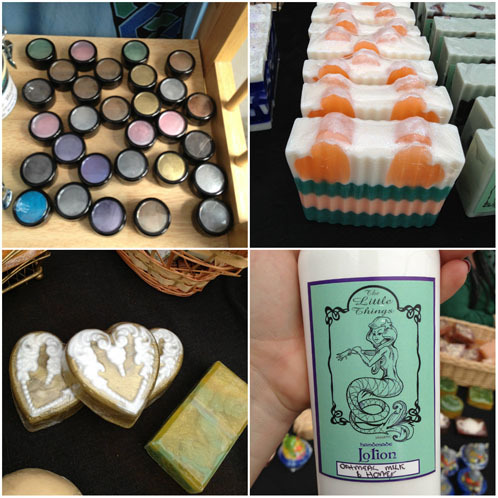 ran into this soaper at a summer fair (and kept raving about her soap), I was intrigued. 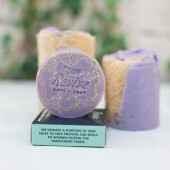 You may recognize today’s interviewee from the Gorgeous Geode Soap Tutorial, which originally appeared on the Otion blog. 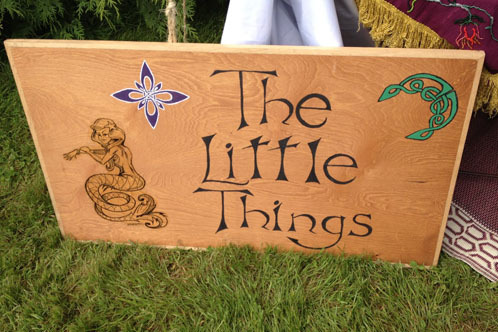 Read on to learn more about Marlona, one of our local soapers and owner of the Little Things Store. 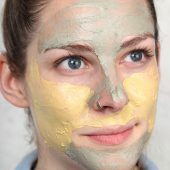 Soap Queen: How did you first start soaping? Marlona: I saw some small guest soaps in the shape of Easter figures about ten years ago and fell in love with them, and in fact, the lady who gave them to me actually cited Bramble Berry as her source! Years went by and my life changed dramatically with the birth of my daughter. My husband and I sold our home to move to Washington state to be closer to my family — it was time to reinvent our lives and start over. I had waited so long, and was so in love with my little girl that I just couldn’t bare to leave her and return to work. We had to find another way. 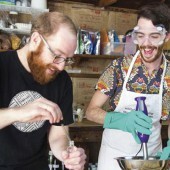 I thought to myself, ‘what have I always wanted to try?’ Then it came to me…soapmaking! As soon as I made up my mind that’s what I wanted to try, I was determined to find Bramble Berry! I could have searched the internet for soap supplies, but instead I walked around my home determined to remember the company name. As soon as I remembered Bramble Berry’s name, everything started to happen so fast. 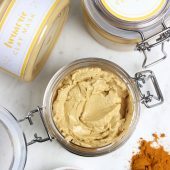 I researched everything I could get my hands on and would dream about making the products I wanted step-by-step before I even started. I made my first batch of soap 2.5 years ago and haven’t stopped since! SQ: What inspires your business and products? 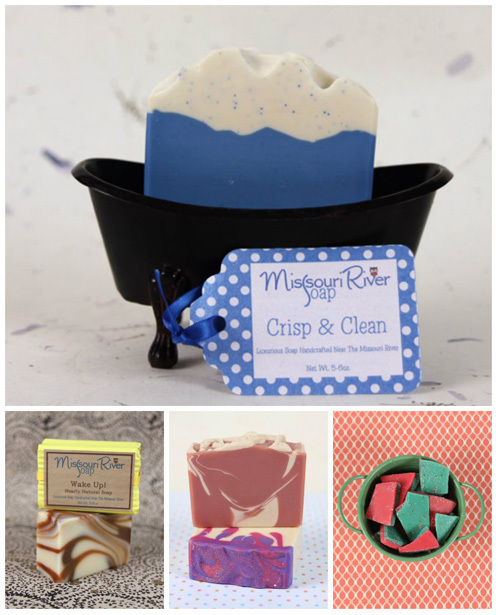 M: My inspiration comes from the information I find on Soap Queen, looking at soaps on Etsy, and from the fragrances themselves. 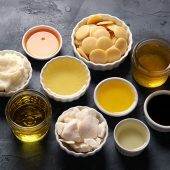 SQ: What is your favorite bath and body product to make? 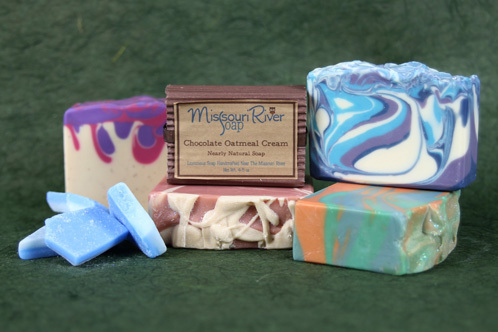 M: My favorite product to make is glycerin (melt & pour) soaps; I get to express my creative side when making them! SQ: What is your favorite Soap Queen tutorial and why? M: My favorite tutorial is the conditioner recipe. 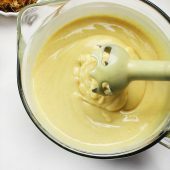 It is easy to make, and I love to use it! It’s not slimy like store bought ones, and it rinses away so silky soft! SQ: When you aren’t soaping, what are you up to? M: When I’m not soaping, my husband and I are usually preparing to sell our soap at medieval themed events, spending time with friends from the Society for Creative Anachronism (S.C.A) and the Empire of Medieval Pursuits (E.M.P), or preparing for holiday bazaars. We have been reenacting the medieval times for over 20 years, and we enjoy the heavy armored combat, belly dancing, and learning skills such as card weaving and brewing. I absolutely love making things, especially if they are useful. SQ: We just fell in love with this project you shared with Otion. How did you come up with it? 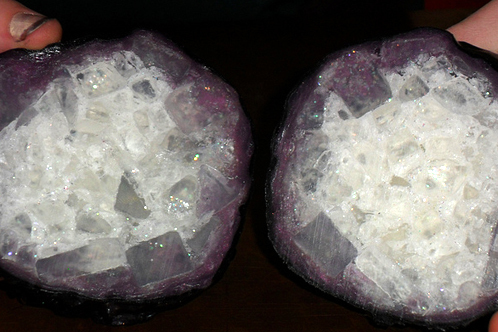 M: The idea for the geode came from the Everything Soap Making Book, which I actually picked up locally at Otion. 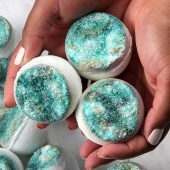 Once I read about it, I absolutely fell in love with it and knew that I had to start making these geode soaps. 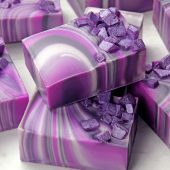 You can make these fantastic geode soaps too! 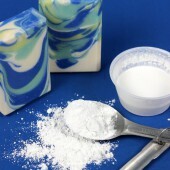 Check out the tutorial at the Otion blog or right here on Soap Queen. 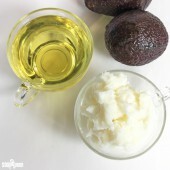 SQ: Do you have any advice for anyone who wants to get into soaping? 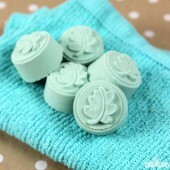 M: My advice for anyone soaping is to never give up and never be intimidated by another person’s amazing work. Through admiration comes inspiration! 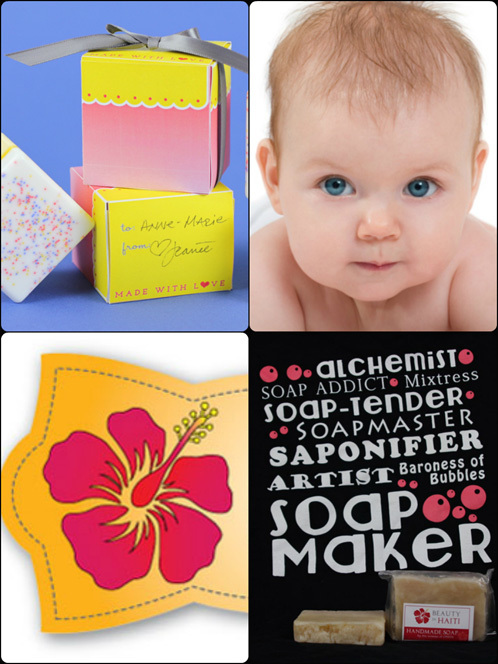 To find out more about Marlona and her soaps, visit her website or Facebook page. I am a stay-at-home mom to three young children and a wife to a wonderful, supportive husband. There is always much to do in the field of household management and I don’t have a lot of free time. Of course, when I do have free time, I make soap! We are mostly home-bodies and enjoy quiet family time. We do have a boat and enjoy taking it out on the lake in the summer. I started soaping nearly six years ago. 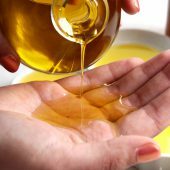 With three small children, I was washing my hands frequently and I found my skin was so dry and tight from commercial soaps. 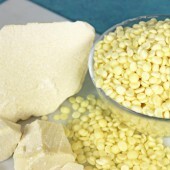 I used some lovely goat milk soap from the health food store and it sparked my curiosity. 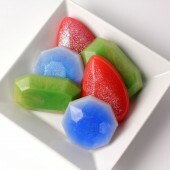 Why was it different from the soaps I bought at the regular store? I checked out the Everything Soapmaking Book from the library, started reading about using lye, and promptly returned the book to the library. After a while, I found I was still intrigued and started doing additional research online. 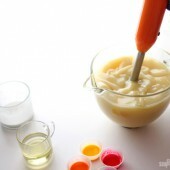 I was just so fascinated by the process. I learned that lye must be respected but not feared. 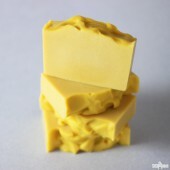 Soon after, I made my first batch of soap, a soap heavy on the cocoa butter. I used the oven process method and my poor little boy came running into the kitchen asking me when the chocolate chip cookies would be ready. What a let-down for him! 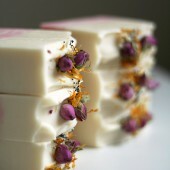 The next day I made a batch of goat milk and honey soap and the rest is history. Unfortunately, I haven’t done much baking since! In February of 2011, I started publishing videos on YouTube. I received great feedback from my videos and so many people encouraged me to start selling. I really didn’t seriously consider it until early 2012, a year later. 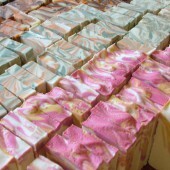 I had been making soap for nearly 5 years before I started selling in late 2012. I felt confident in my recipe and my abilities and I really needed something to fund this hobby of mine! 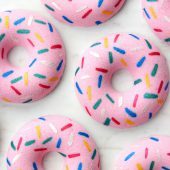 Soap Queen: Your soaps are so unique and really they stand out to me! Where does your inspiration for your designs and names come from? I get inspiration in nearly everything I do it seems. Whether it be cooking, going for a drive, surfing the internet, etc., I find there is inspiration to be drawn from everything around me. My best ideas seem to just ‘come to me’, usually when I’m lying in bed at night, trying to fall asleep. Then I end up staying awake because I’m just so excited about the idea and I begin working it all out in my mind. 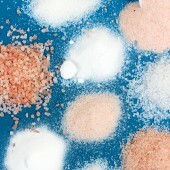 Soap Queen: Do you only make cold process soap or do you have a hidden love for melt & pour or lotions? I only do CP soap now. 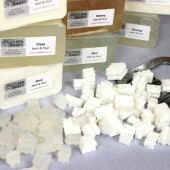 The first couple of years of soapmaking was dedicated to making crock pot hot process soaps. Like many others, I couldn’t stand the thought of waiting to use the soap. My patient side finally kicked in and I realized that I much preferred making CP and waiting for them to cure. 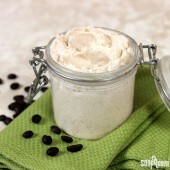 I have experimented with making scrubs and lotions and the process wasn’t one that excited me. I will leave those to the people that enjoy it! 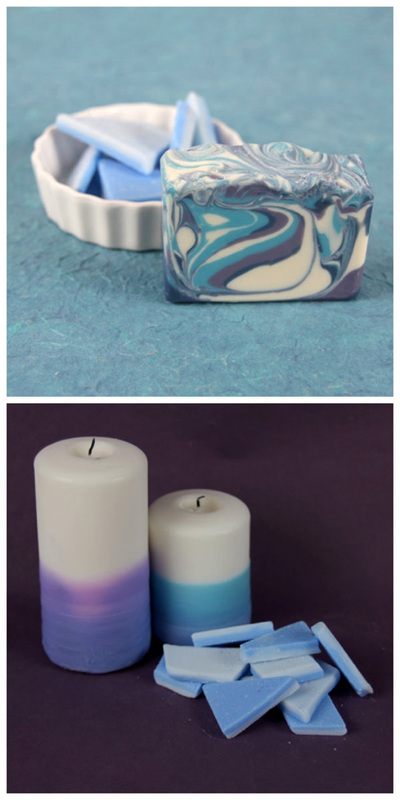 I discovered that working with wax is also great fun for me, in a way similar to making soap, so I enjoy making scented wax brittles and testing candles. It is hard to pick just one favorite product. If I have to choose, I choose the new silicone liners. 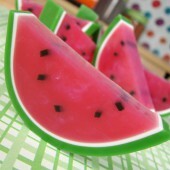 I have several varieties but I particular love the one for the loaf molds. They are above and beyond handy! 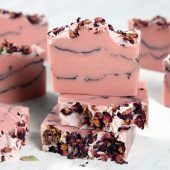 I always find the fragrances, essential oils, colorants, and other soap making ingredients to be top notch and I can always depend on quality from Bramble Berry. Thanks for chatting with us, Holly! I really enjoyed hearing about how you got started, and can’t wait to see your business thrive and develop! 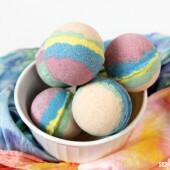 For more soapy inspiration, you can check out Holly’s Facebook page, online store, blog and YouTube channel!